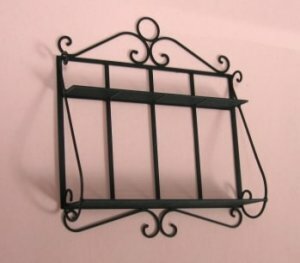 Black metal wall rack with two shelves. Approximately 2" high x 1 7/7" wide. Made in Italy.